Nendoroid Christmas Miku to be Announced Next Week? A rather shocking announcement was made by GSC earlier today, stating that SEGA x GSC x Crypton will be holding an event in GSC x Karaoke no Tetsujin Cafe in Akihabara, scheduled for November 22nd at 20:00 (JST). The event itself is obviously related to Hatsune Miku, so it is conveniently dubbed as “Hatsune Miku’s Time”. What is it all about!? I have a hunch that Nendoroid Hatsune Miku: Christmas version will be put for lottery there. The site itself will be open for public on November 22nd. 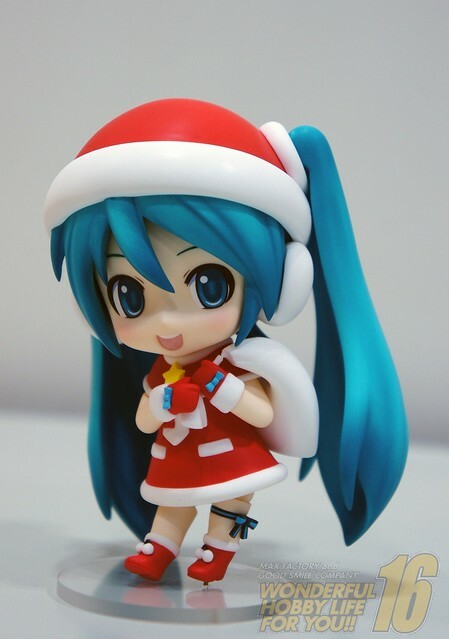 This entry was posted in News and tagged christmas, hatsune miku, nendoroid, vocaloid, xmas.